At Perkaroma, technology is a key part of our business and one of the ways we provide you with an unmatched experience. With more than a half-century of experience in the workplace refreshment and office supply business, we integrate the latest inventory and restocking systems to help our clients save time and money. Whether you are in need of a full-service solution that includes automatic supply restocking and ordering or you are looking for a more standard ordering process we will tailor our service to your business’ unique requirements. As a business owner or manager, your hands are already tied with the day-to-day activities of the office, so why not hire Perkaroma to provide you with office grocery delivery services? We carry a wide selection of products that are sure to keep your customers, business partners, and staff happy. Tired of office donuts? Consider offering your employees some heart-healthy food options like fresh fruit, dairy and non-dairy items, and fresh baked bagels. When you work with Perkaroma, we can help you decide which foods and beverages will be the best for your office, while taking care of all of the delivery logistics. Many companies don’t realize how important their breakroom is to its employees. Your breakroom is where your staff goes to re-energize, helping them to be more focused and more productive throughout the day. If your breakroom leaves much to the imagination, you may want to consider partnering with Perkaroma to help turn your breakroom into a space that your employees will love. We currently offer over 5,000 types of breakroom supplies, including healthy snacks, bean-to-cup coffee machines, and fresh fruit and dairy, including non-dairy milk alternatives. It’s been said that coffee is the lifeblood of a business, and we can’t help but agree. Don’t believe us? Check out this statistic: 84 percent of employees drink coffee every day and feel that their day has not started until they have had their first cup of Joe. If you’re currently not providing coffee to your employees, we highly recommend doing so. Coffee has been shown to improve productivity in employees, help with short-term memory, and assist with sleep-deprived stress. If that isn’t reason enough to invest in an office coffee delivery service, we don’t know what is. At Perkaroma, we offer bean-to-cup brewers, European espresso machines, and some of the most popular brand names in coffee, including Peet’s Coffee, Seattle’s Best Coffee, Starbucks®, and Dunkin’ Donuts (among other amazing options). In addition to our coffee delivery services, we also offer businesses hot and cold beverage delivery service for their breakrooms. Whether your staff loves sparkling water, cold brew coffee, or iced tea, your office can have access to the most popular and acclaimed brands of beverages and dispensers on the market. 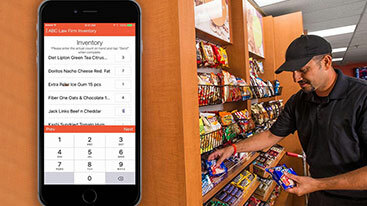 If you’d prefer not to order and manage your breakroom inventory yourself, Perkaroma offers an automatic restocking program that will accommodate you. As a business owner or manager, you know how critical it is to have the office supplies you need, when you need it. It’s never fun to have to run out of the office before a board meeting because the printer ran out of ink, but when you partner with Perkaroma, you’ll never have to worry about doing that again. We currently offer more than 50,000 types of office supplies, including paper products, writing supplies, folders, ink, toner, and even office furniture. At Perkaroma, we believe businesses are like a well-oiled machine. When you have the supplies you need, you don’t have to worry about running out of the office at one o’clock on a Monday to grab envelopes for the office. If your business is constantly shipping items out on a daily basis, it’s critical that you have the proper shipping supplies on hand. Perkaroma can help you stay on top of your shipping inventory by providing you with delivery services for things like boxes, envelopes, bubble wrap, and packing tape. The cleanliness of your workplace can have a major impact on your company’s image. The last thing you want is for customers and potential business partners to walk in your office, only to find papers spread out everywhere and take-out containers on all of the desks. Perkaroma is proud to offer eco-friendly and green cleaning products (in addition to traditional cleaning chemicals) to help you keep your office in tip-top shape. When you need cleaning supply delivery services in New York or New Jersey, you can trust the professionals at Perkaroma to provide you with the best products at the most affordable prices.